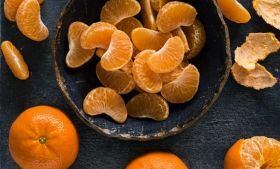 With this season’s first volumes of Tangold Seedless mandarins making their way onto Australian retail shelves, Freshmax Australia has spoken about the potential it sees for the variety moving forward. Originally developed by the University of California, Tangold is gaining traction in markets across the world, with the fruit’s easy-to-peel skin, smooth rind, deep orange colour and sweet taste appealing to consumers. 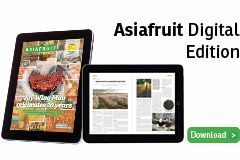 The variety has been widely planted throughout Australia, reflecting increasing consumer demand for seedless, easy-to-peel mandarins. 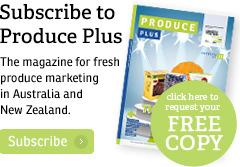 Freshmax’s IP and commercialisation manager, Andrew Maughan, said a recent acceleration in plantings should deliver an increased production volume over the coming years. “Over the next five years Tangold Seedless is expected to become a significant player in both domestic and export markets” Maughan explained. Australian growers of Tangold are equally as optimistic about the variety’s prospects. Tangold becomes the third Australian-grown IP easy-peel mandarin to be marketed by Freshmax Australia, joining Sumo Citrus and Gold Nugget. “We are thrilled to see the first commercial volumes of Tangold hitting shelves this season,” says William Snell, general manager sales at Freshmax Australia. The 2018 season will see the first Australiam marketing campaign for Tangold. The initial objective will be targeted brand awareness drives across major cities. “It will elucidate the key characteristics of the product and educate consumers through the path to purchase” explained Sona Padman, campaign manager at Freshmax Australia.